which cools one room at a time. This is called "zoning". Most people are aware that our comfort comes from the vents in the ceilings or walls which bring cool air in the summer and warm air in the winter. This is done by blowing air from a central location and then distributing it throughout the house. Blowing conditioned air through a duct system has recently come under increased scrutiny as recent testing has revealed that systems can lose 5% to 15% just in air leaks and depending on the climate (sub zero winters and desert homes are the worst), thermal losses can add up to 50% loss of energy from the time it leave the furnace or air conditioning coil and travels to the register in your room. This means during the hottest day, when you need the cooling the most, your 4 ton unit is really only delivering 2 tons of cooling but consuming 4 tons worth of energy! Further, the more extreme the temperature, the more losses that are incurred so when you need it the most you are getting the least. That's just basic thermodynamic principles in effect. Even if you only need 2 tons to cool the house, your 4 or 5 ton system is cranking away using 1.6kw/ton whether it's mild outside or stifling hot. and just enough to maintain the desired comfort level chosen. Each wall evaporator/blower is sized to create comfort room by room so you only turn on the unit where you will be occupying. In most cases, especially where there are empty bedrooms being conditioned, a 1 ton heat pump mini split is installed in the core living area and one in the master bedroom. This way, only one unit is running providing cooling in the summer and heat in the winter and while doing it only consumes 700watts of power, not the 8600watts a roof top mounted 4 ton system uses. This is especially important with the new APS rate which will have an on peak time of 3pm-8pm and a kW (every 1,000 watts of power) charge of $17.45! Simply turn off your main a/c unit and rely on a 1 ton ductless system to keep the core of your home comfortable for 700 watts. 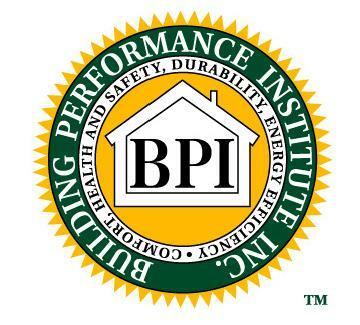 We have seen reductions over 60% in the last two years while honing our "DRP" (Demand Reduction Package). Stay updated by coming back to this web site. How many times have you thought "man, I would love to go out in the garage and complete a few projects" but you think forward of sweat dripping down your face, the incredible heat pouring from the ceiling, standing close to the hot tin garage door feels like you are standing in a broiler...and not a breath of moving air. Recapture over 400 square feet of space from the summer by having us install Thermal Control Membrane above the ceiling, on the back of the garage door and installing a 120v 1 ton mini split heat pump on the wall. We have customers turning garages into hobby rooms, grow rooms, billiard rooms, a chapel, a play room for the kids and of course, the ultimate Man Cave (neon signage not inlcuded). 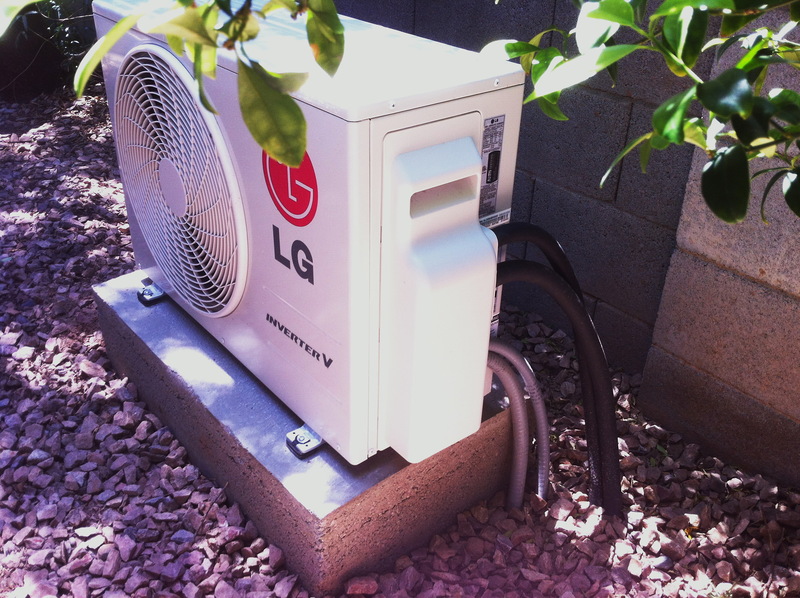 We can ship you the 1 ton or 1.5 ton ductless systems UPS or install them in the greater Phoenix metro area. This is the outdoor unit for a 2.5 ton Thermal Zone ductless heat pump on a RV garage/Man Cave. This is the indoor unit for the 2.5 ton Thermal Zone ductless heat pump. This is a 1 ton Daikin Ceiling Cassette, one of five in this home which completely replaced the duct system. 11 tons of cooler were removed and 6.5 tons of Daikin multi-split systems where installed. The June APS electric bill went down from $510 to $173. This is one of two Daikin Slim Ducted systems. The tiny air handler delivers 12,000btu's of cooling. The return duct (on the left) is only 10" long and the supply duct (on the right) is only 6" long. This was installed over a pantry and cools the entire kitchen area as a separate zone. LG 2 ton with Inverter technology. The compressor is variable speed and only draws the power that is demanded by the sensors on the indoor coil. Nice unit, easy to work with, quality components throughout, on the higher end as far as price is concerned. This is the LG indoor coil. There are several styles to choose from to match your decor with LG and this is the smoked glass front unit. This is so efficient at cooling (originally designed to cool one wing), the client only uses his central duct system when the outside temp goes above 115F. This is a 1 ton Mirage heat pump. This is cooling half of 5 bedroom ranch since he had Thermal Control Membrane in his attic installed in the attic and a German Attic fan to remove the solar heat. Mirage is a lower cost, no frills, reliable and quiet system. I would not hesitate to recommend them and the price is right. This is the mirage indoor wall unit. 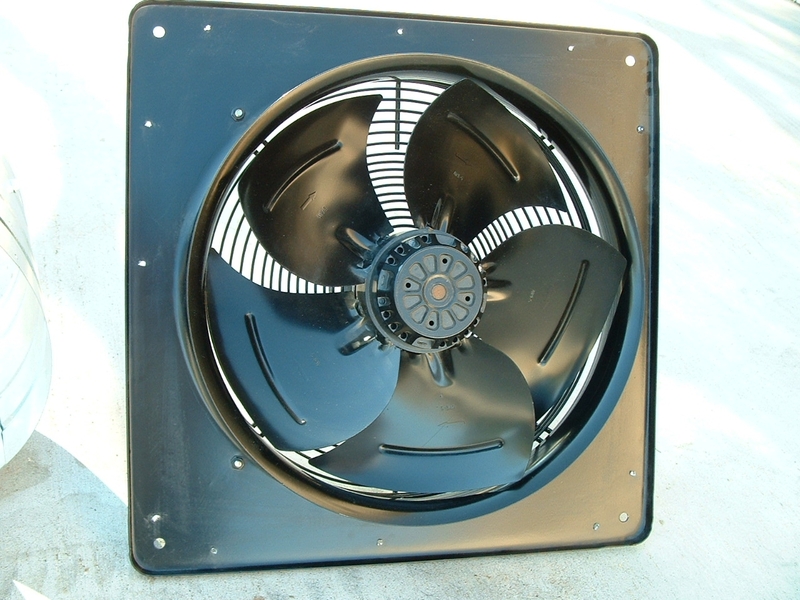 Very quiet and powerful fan projects air 30' and keeps the house comfortable during expensive on peak hours. The rooftop 5 ton is shut off and only this is running all day non stop. Some days the compressor spins faster than others as this brand also has Inverter Technology. 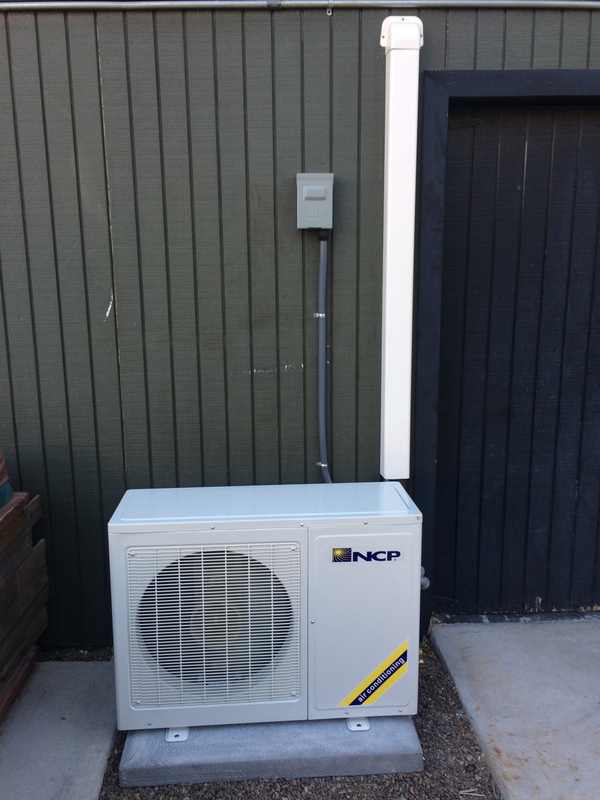 This is a National Cooling Products 2 ton a/c only serving a 800 sq foot guest house. No need for ducting when the system puts out this much cooling in one spot. 4 ton heat pump all night will do to your energy bill. Zoning is one of the biggest benefits of using mini split technology. There are no filters to change, simply slide out the built in air filters, rinse them off and re-install. 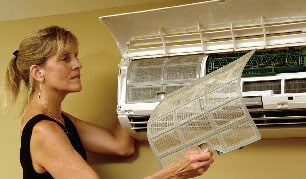 Ductless systems are virtually maintenance free. your garage or Arizona room back from the summer! the TCM barrier, it's really amazing the difference and with the garage wall being cooler the rooms on the other side are noticibly more comfortable. If you want to take your work space back from the summer, this is the solution. Best investment I've made for my business!" Copyright, all images and text 2009 2019 Horizon Energy Systems. All rights reserved. Violators found to be using our images and/or text from our web pages will be prosecuted. trademarks of their respective companies or mark holders.